Get the Exchange Rates of all the currencies Online to update your SAP system Automatically. Avoid mistakes, omissions and delays that may alter your systems when uploading exchange rates. Hundreds of customers using our solution worlwide. HTTP connection from and to your SAP System through standard transaction TBD4. Whole configuration supported by standard SAP customizing. No ABAP developments are needed. Automatic update for transaction OB08. “It is a very flexible tool that allowed us to speed up the exchange rates uploading process, to avoid human errors in sensitive data, and to communicate this information to the interested parties on a daily basis. The support of Infoaval upon every need is excellent". "I have a great experience with the tool. It is very practical. Once it is customized, it updates the data automatically, and it avoids errors and reduces the time that users previously invested on the manual maintenance. There are no complaints, only praises." "Many thanks to Infoaval for helping us in the implementation process of the automatic update of exchange rates. They were always available when we had questions and comments and the implementation was successful". "The “Cotización de Monedas” service is useful for us because we standarize an operation that we have been doing manually. We define the method of quotations uploading and we let the system do it automatically. The manual operation was subject to errors, and we had to go back in many opportunities and correct the operations as a consequence of an error in the uploading of exchange rates". "The “Cotización de Monedas” solution offered by Infoaval allowed us to replace, in an easy way for us, the daily and manual task that involves the maintenance and update of the different quotations used by the company. 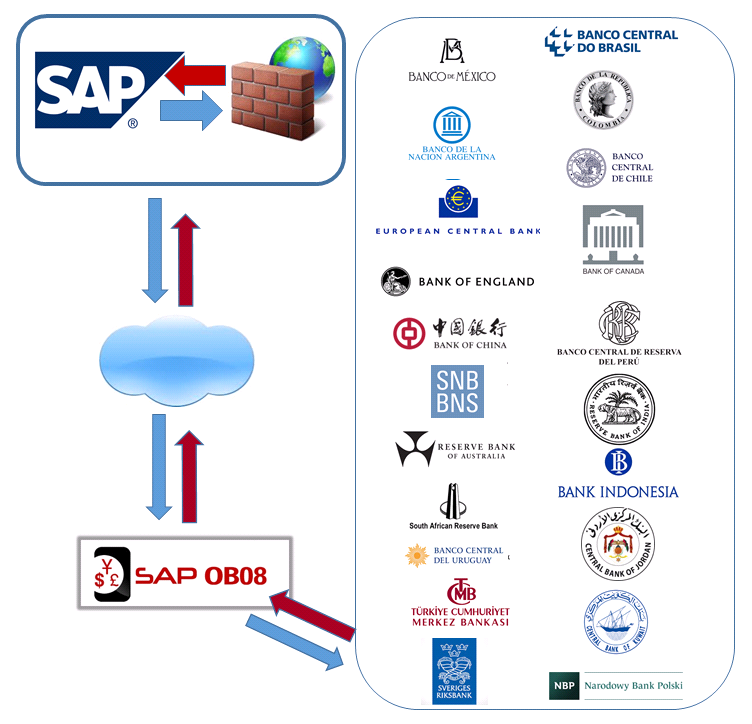 It releases the user from that responsibility and it allows the quotations to be updated according to the last update informed by Banco Nación". "We communicated with Infoaval because we did not have the daily update of the exchange rates we use. The uploading was manual, with all that it implies (viewing the exchange rates and then uploading each one of them to our management system). From the moment that we implemented ‘Cotizacion de Monedas’, the most important benefit for us is that we have the quotation of each currency with the most updated exchange rate. Consequently, our Accounting is more precise. Therefore, our experience is highly positive". "The automatic upload of exchange rates really helped us to optimize the use of time and to minimize errors that could arise from the manual uploading. It also released us from the responsibility to upload, which involved an unnecessary dependency on the manual uploading for the accounting of documents with foreign currencies". "The “Cotización de Monedas” service helped us to manage automatically the update of information of exchange rates for our company. The service offered is one of the links for our company´s digital transformation, within the interoperability scheme as a differential value for our consolidation process and activities automation."